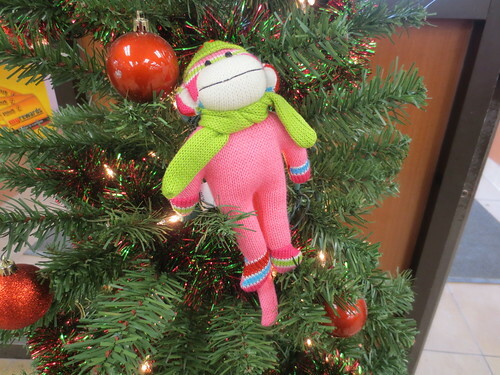 It wouldn’t be Christmas without Sock Monkey climbing into other people’s trees. 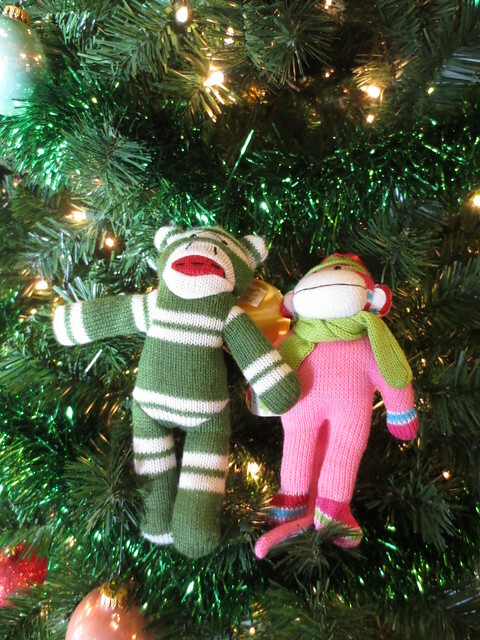 This year, he’s showed his new girlfriend, Scarf Monkey, how much fun it is. Aww, cute! 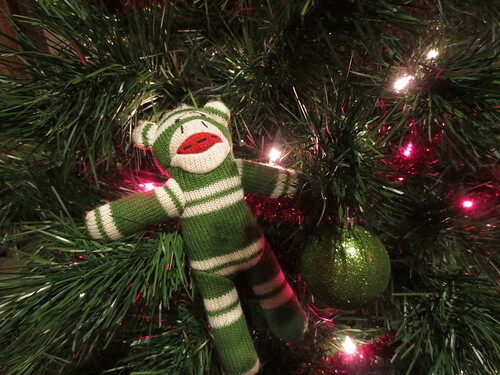 Merry Christmas, Monkeys!